The service life of the lubricant is the decisive value for the bearing life. 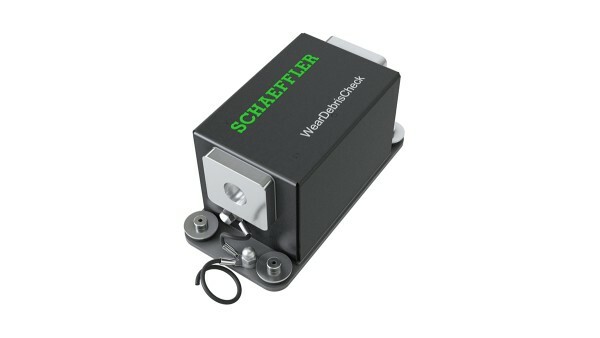 Depending on the application, either a grease or oil sensor can be used for monitoring. The lubricant can be topped up or replaced in good time before damage occurs. Particulate sensors of this type can be used to determine wear at an early stage in heavily loaded industrial gearboxes on the basis of particles in the oil. The debris particles that can indicate a failure can be detected in the oil several months in advance. Monitoring the particulate count in the lubricant makes it possible to identify damage early on. This helps to prevent consequential damage and downtime. The particulate sensor is installed in an ancillary flow of the recirculating lubrication system in the gearbox upstream of the filter or in a separate circuit. 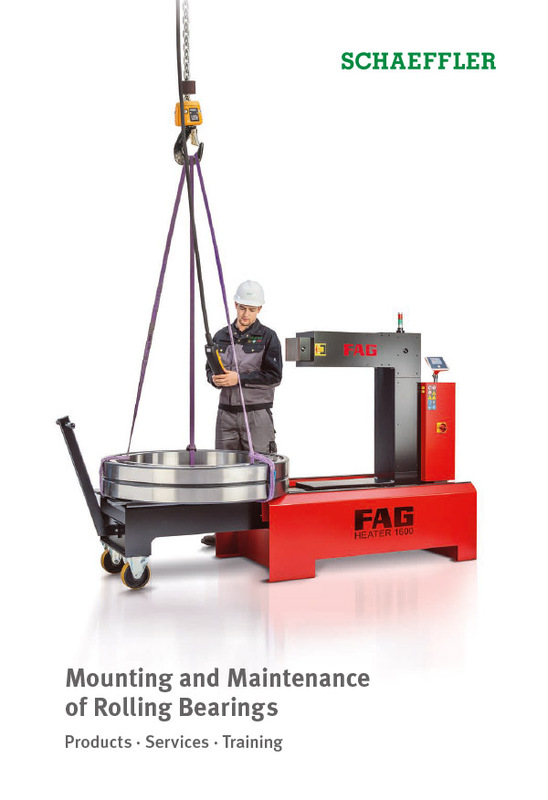 Typical applications for the FAG Wear Debris Check can be found in gearboxes in raw material extraction plants, planetary gearboxes in wind turbines or in ship propulsion systems. Where oil and vibration monitoring facilities are combined, damage in gearboxes with recirculating oil lubrication can be detected at an early stage and the source can be determined accordingly. In this way, it is possible to prevent production shutdowns or secondary damage. The grease sensor has a diameter of 5 mm and is inserted in a hole in the housing as close as possible to the rolling bearing. The sensor is positioned in the lubricant. 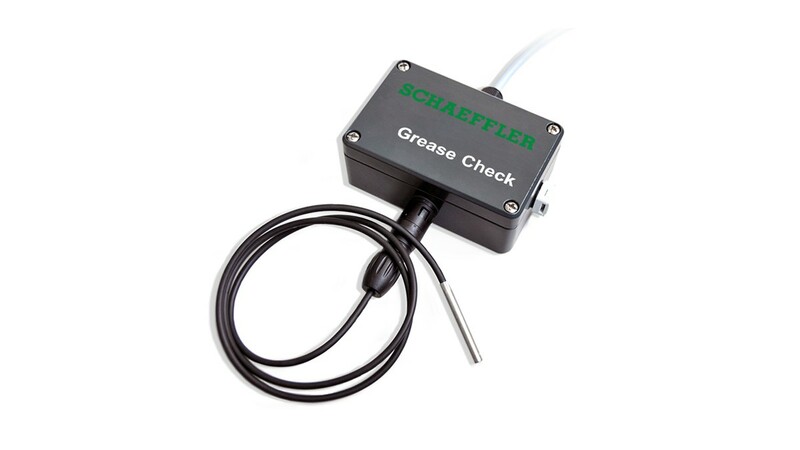 This grease sensor optically measures the water content, turbidity, thermal and mechanical wear and the grease temperature directly in the bearing arrangement. This information is transferred by cable to the evaluation unit. The evaluation unit generates an analog signal that provides the user with information rapidly and easily on the condition of the grease. In the past, bearings were regreased as a function of time. The grease quantities and lubrication intervals were calculated numerically. 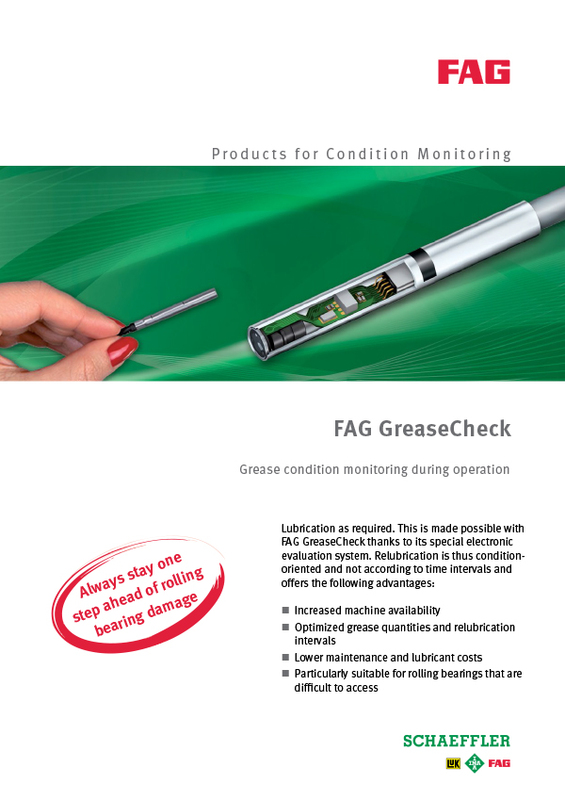 If the grease sensor is used, regreasing can be carried out as a function of condition.